I’m so used to seeing excellent teensy spaceships from Rodney Bistline (Buster) that I had to check twice that I had the name right. I did. 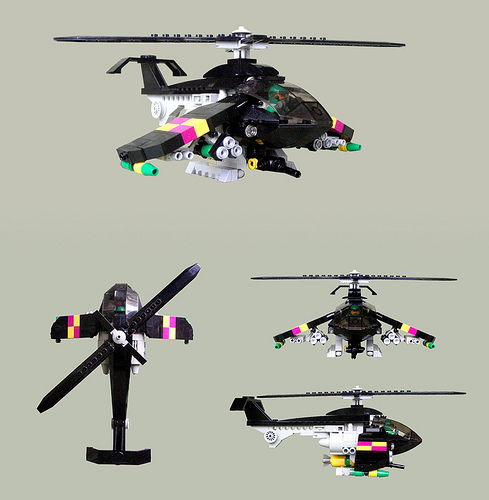 This delightful helicopter combines Rodney’s gorgeous use of shape and colour with a more contemporary design. I want to see more near-future stuff from you, Rodney. Got that!